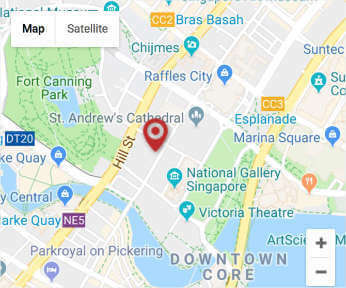 Singapore is home to many of the world’s largest multinationals, including those operating in the information technology, pharmaceutical, biotechnology and financial services sectors. These companies establish operations in Singapore to serve local, international markets, and in doing so leverage Singapore’s advantages as a gateway to the regions countries in pan-Asia including China. We are well-positioned to help local entrepreneurs and foreign companies to set up their businesses in Singapore. Our wide areas of expertise enable us to help entrepreneurs to register business and incorporate company in the shortest possible time. Establishment of Onshore and Offshore Companies, or Representative Offices. Provision of Nominee Directors and Shareholders. Application for Working Passes for Expatriates. Assistance in search for Office Premises and Recruitment of Staff. Minimum of one director who has to be an ordinarily resident in Singapore i.e. Singaporean/Singapore PR/Singapore employment pass holder. Minimum 1 individual Shareholder or 1 corporate body as 100% shareholder is required. You do not need a Singaporean for a shareholder. Minimum paid up capital is S$1. Time taken to incorporate a company is approximately within 2 hours to 1 day. All private limited companies are required to have a company secretary. We can act as your company secretary. Proposed company name (ideally with two choices). Business activities in brief description. Use of our office address as your registered address. Professional service for name application and incorporation. Advise on the appropriate paid up capital. Government filing fees for reservation of 1 company name. Our representative may act as your company’s local director if you have difficulties appointing a director of your own. providing general advice on recurring compliance corporate secretarial matters. Under the Companies Act, Cap. 50, the company secretary must be a natural person who has his /her principal place of residence in Singapore. The directors have to take reasonable steps to secure that the company secretary is a person who has the requisite knowledge and experience to discharge the functions of secretary. We can arrange for the services of a named company secretary. The named company secretary will not be involved in the business, management and administrative functions of the Company. attending to reporting of information and submitting documents and forms with other government authorities. Since 1 November 2007 Singapore incorporated companies are required to file their financial statements (FS) in XBRL format. XBRL stands for Extensible Business Reporting Language, a language used in computers to present financial statements. XBRL facilitate efficient conduct of business, enhancing reliability and accuracy of financial reporting with improved transparency and timely dissemination of relevant financial information. We provide advisory services relating to striking off or de-registration of businesses and limited liability companies. This is the most common way in which a company closes down as it is the cheapest and relatively simple to do so. A private limited company can apply to the regulatory (ACRA) to strike its name off the Register under the Companies Act. The regulatory body (ACRA) may approve the application if the company can prove that it is not carrying on business and that the company is able to satisfy the criteria for striking off. The company must have ceased trading or not commenced business from the date of incorporation. The company must not have any outstanding tax liabilities with IRAS. The company must not be indebted to any other government agency. The company must not be involved in any court proceedings (within or outside Singapore). The audited financial accounts should be unqualified and should have no assets and liabilities. (a) Qualified opinion with no assets and liabilities, applicant is required to submit a letter of undertaking from the respective auditor to remove its qualification. (b) Unqualified opinion with assets and liabilities, applicant has to submit documentary evidence for the disposal or settlement of assets and liabilities. A company may decide to wind up its affairs voluntarily if the directors believe that the company will be able to pay its debts, in full, within 12 months after the commencement of the winding up. The company will appoint a liquidator, or provisional liquidator, to wind up its affairs and file the necessary notifications required under the Companies Act. A company may decide to opt for a “creditors’ voluntary winding up” if its directors believe that it cannot, by reason of its liabilities, continue its business. The company will appoint a liquidator, or provisional liquidator, to wind up its affairs and file the necessary notifications required under the Companies Act. A company may be wound up under an Order of the Court under certain circumstances e.g. the company is unable to pay its debts. The Court may appoint a liquidator to wind up the affairs of the company. Where no liquidator is appointed by the Court, the Official Receiver shall be the liquidator of the company. The liquidator will file the necessary notifications required under the Companies Act.